Children have almost universal responses to different kinds of weather: kicking fallen leaves in autumn, splashing in puddles in the rain, catching snowflakes on tongues when it snows. 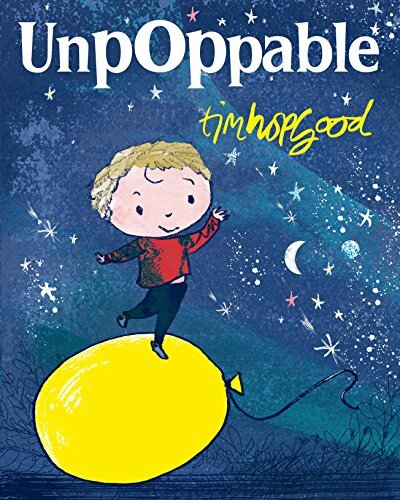 We talk to author and illustrator Tim Hopgood about the weather as an inspiration for children's books. Tim began his career writing and drawing for children after working for twenty years as a graphic designer and freelance illustrator. Often blasting Miles Davis and Stevie Wonder through his headphones, Tim has a deep love of music and enjoys listening while he paints and draws. He works mostly with Derwent sketching pencils and uses digital layering methods to create his artworks. He now lives with his wife, two children and cats in North Yorkshire. We’re talking about the weather in the children’s books. The weather is a big topic in the UK – particularly the rain! – and, enjoyment of the rain brings us rather delightfully to your own work. 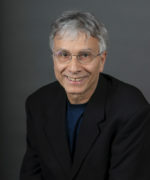 You’ve written and illustrated a lot of books for children, most recently Singing in the Rain. 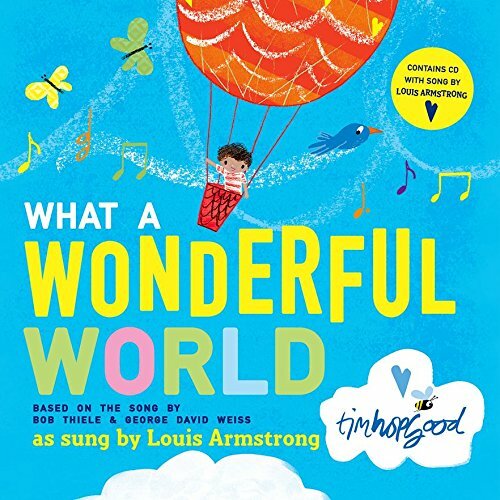 I believe your book, What a Wonderful World, was that the first time you’d reimagined a classic song as a children’s book? 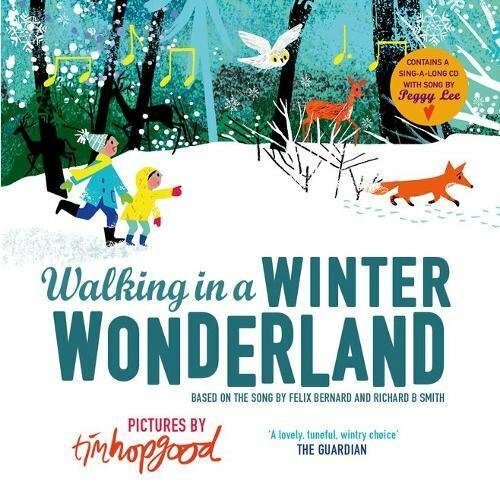 Yes, Walking in a Winter Wonderland was the second and Singing in the Rain is the third of this series of books that are inspired by famous songs. Tell me a little bit about your process and what it is about these songs that inspires you. Particularly about Singing in the Rain? Music a big part of my life. I’ve always been fascinated by how music can change your mood. How different music can completely change the atmosphere in a room. I use music a lot when I’m working. Then, OUP approached me a few years ago and asked if I was interested in illustrating a classic, they were thinking a classic story but I was thinking about classic songs! So that started this series. Singing in the Rain is one of my favourite films. I love the Gene Kelly dance scenes. I love the style of those old films as well. In my books I tell my own version of the lyrics of the song. I don’t adhere to the film. So, in the second half of my book, where the children fly off to the rain forest, I’m now telling a different story. I like that freedom. I wanted to make a point about how the rain connects us all. In the beginning of the book the children have got umbrellas, they’re wearing raincoats, they’ve got wellies, but then by the time they get to the end of the book, they’re barefoot, they’re getting tropically wet! They’re really celebrating rain and enjoying it. It finishes up with them running through a waterfall. 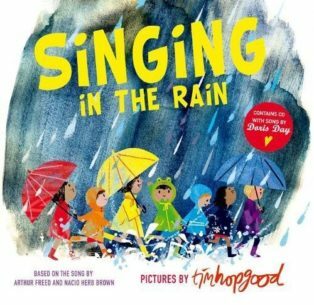 I wonder if we could talk generally about the weather in children’s books, because it’s a great theme in children’s picture books. I’m really interested in the natural world, and how small children relate to it and discover it. Using picture books gives us fresh eyes to look at things again. I love the fact that when a rainbow appears everyone stops and comments on it, no matter how old they are. I was on a train recently and a rainbow appeared, and the whole carriage went into oohs and aahs, and of course nowadays everyone starts photographing it, but it’s the fact that something like that still makes people stop and become aware of the outdoors. As a child, I used to spend a lot of time staring out of the window, watching the clouds and looking at the weather, so I tap into that. We talk about the weather a lot in this country because of the change of seasons, and I love that. Also, the fact you have to wear different clothes, you have to dress up. So, it becomes quite involved. The idea of the rain and wearing wellies, or bright colours, and umbrellas, whether people like umbrellas or not, and then snow with all the hats and scarves. I can remember that whole thing about your mittens getting soaked through and freezing cold, and putting them out to dry, and hoping they’ll be dry enough the next time you go out in the snow. These are great starting points for picture books. There seem to be universal reactions to the weather: kicking leaves in autumn – it’s an exhilarating feeling for a little person, a lovely sound, and the leaves are very beautiful – and then, in the snow, sticking their tongues out to catch a snowflake. And, for me, kicking leaves, things like this create great imagery for illustrations, so that’s the sort of thing that I like to draw. I feel very at home drawing the natural world. 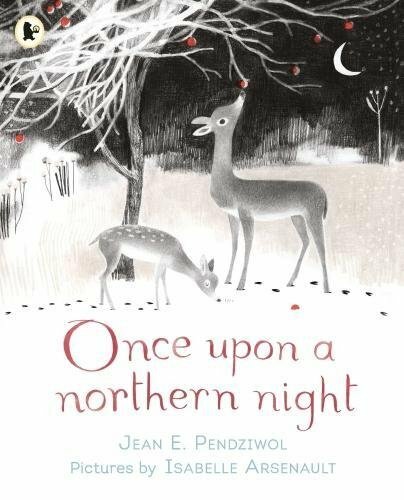 Perhaps we could start with a look at your first book choice Once Upon a Northern Light by Jean E Pendziwol (2015). This is a bedtime read. It’s really quiet and settling. It’s the pictures that draw me in, but I love the pace of this book. The language is soft and comforting. This book is like a big blanket. You can wrap yourself up in it. Visually, I was drawn to the limited colour palette. Colour is something that interests me in picture books, and to me, here it is handled really sensitively, and it works really well. I love the use of the white space on the page. At the beginning it seems quite dark and minimal, but you’re drawn in into this magical night, and I think the use of tone and colour worked perfectly with the poem. There’s just a little accent of colour on each page, isn’t there? I think, visually, it’s poetic. The whole things just works. The words and the pictures work perfectly together. It’s very atmospheric. Absolutely charming. It is beautifully written and really quite moving. It’s really interesting to hear your perspective on what makes these books stand out for you. 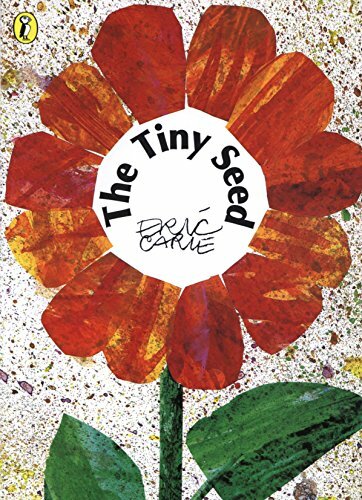 Should we talk about the The Tiny Seed by Eric Carle (1970)? I’m a huge fan of Eric Carle. That kind of bold colour style, it just works so well. Recently I read an interview that he’d given about the use of colour and he explained how you needed the white space to make the colour really jump out. So that’s something that I’ve been looking at, and he does it so well. In The Tiny Seed I love how it starts with this massive challenge of life. One of the seeds is smaller than the others, will it be able to keep up with the others, will it make it? A seed is one of the biggest wonders of the natural world, how is it that a single seed can make it against all the odds? I love the pace of this book, and there’s humour in it. Straight off, one of the seeds flies too high to the sun and burns up! That’s really dramatic, and just the scale of the journey that the seeds go on makes for a brilliant picture book. … room to think! I felt, in the past, as an illustrator, I was encouraged to fill the page with colour, but I think you can have too much of a good thing. I think I’m starting to realise that if you control it more, that you can use it to create more impact. This is what Eric Carle is a master of: controlled use of colour and then a really strong sense of layout. I think he had a graphic design background as well, I seem to remember. I think he was an art director; he has this strong sense of design of the page. And it’s about the natural world, the seasons, the weather, and how the seed needs rain to grow, it needs sun to grow, it needs wind to blow it on its journey. It captures these natural cycles in a beautifully simple way. It teaches a lot with very little, I want to say with very little effort, and I don’t mean that, but you know what I mean. That sort of thing is harder to do than people realise. I love how when we come to spring and it explains about spring, and how everything’s been working together, but still the tiny seed hasn’t begun to grow yet, and you’re wondering whether it will be too late. I think sometimes nowadays we get caught up with the idea that more has to happen in a book, but I’m not so sure. I think for children you can celebrate these really small moments, and it’s a good thing to do. Slow the world down and then look closely at one thing, and again, Eric Carle, he’s a master at this. 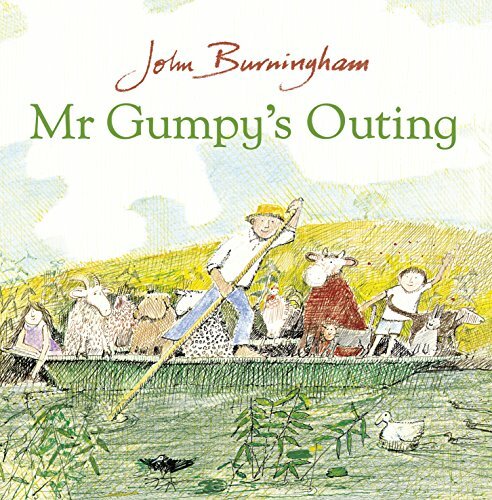 This draws us nicely on to talk about Mr. Gumpy’s Outing by John Burningham (1970) – he also has a distinctive approach. Yes, so this for me is about the mood. It’s a summer’s day and not much is going on apart from the chance to go on a boat. It’s so atmospheric. The illustrations are atmospheric, and it just drifts along quite nicely, until of course … chaos! But everyone’s still pleased they went on the walk. He captures the mood perfectly and I’ve always been drawn to his books and the way he uses the page. We’ve got the lovely sketching monochrome drawings on the one side, and then the colour on the other. Sometimes he uses two worlds on the same page. I’ve always found that really fascinating. His cast of characters is fantastic. It just moves along at a great pace, and I love what happens. Also, his drawing, again. It feels very alive because you can see where, at the beginning with the house, you can see where he’s changed his mind about the drawing of it. You can actually see a different shape, or a different outline behind the main one; that brings the drawings alive. You do feel as if you’re looking through his sketchbook. I find that keeps it really fresh. 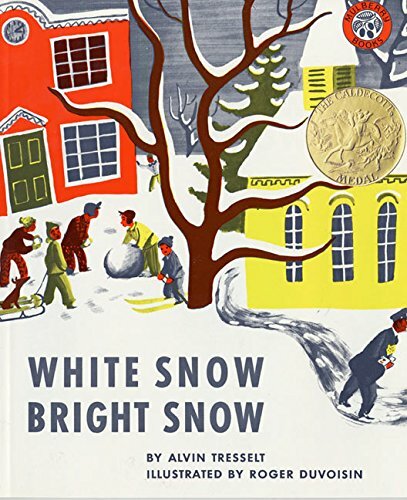 Let’s move from a sunny summer’s to a crisp snowy day – next on my list is White Snow, Bright Snow by Alvin Tresselt, illustrated by Roger Duvoisin,which was first published in 1947. I almost can’t believe this was published in the 1940s. I think the first time when I came across it, I felt that the text seemed much longer than you’d have in a picture book nowadays. But it’s still got those small moments I really like. Lovely little moments for instance, when the policeman buttons up his coat, and the wife makes sure she has cough medicine in the medicine cabinet. There’s a sort of adult suspicion of the cold weather, they are protecting themselves from the weather. Contrasting with the children, who just find it exciting and are out trying to catch snowflakes on their tongues. We’ve been catching snowflakes on our tongues since 1947 and beyond! Yes! And then illustration-wise, this is white space used in a slightly different sense, he uses white space to depict the snow. And I can remember as a child being fascinated by this, when they’d have the Christmas edition of The Beano and they would have the white snow on the word Beano. I’d think, ‘How have they done that? That really looks like snow!’ In this book, the snow even covers the cars. It feels really fresh for me. It’s quite bold; the colour is striking and an unusual palette. It made me want to find out more about the illustrator, Roger Duvoisin. I started collecting more of his books. I really admire his painterly style. Another of his books is Sun Up (I think it’s out of print), about a thunderstorm coming. Again, it’s just choosing a single moment and turning that into a book. You don’t have to have loads of other things going on. 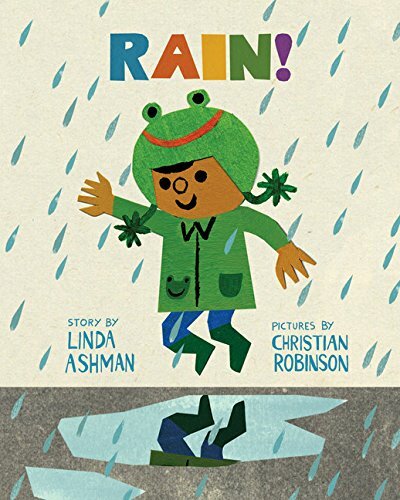 Shall we move on to your fifth choice Rain by Linda Ashman and illustrated by Christian Robinson (2013), which also has a rather cynical grown-up in it? It starts off with two people looking out the window and responding to the rain in completely different ways. I love the fact they’ve even got different fonts. So, there’s Mr. Grumpy in one window and a happy child in the other. The design of the book uses panels on the page very cleverly to tell the story. It’s about how, as adults, we tend to think of the rain as a bit of an inconvenience, whereas for a child it’s really exciting. It’s dressing up, it’s wanting to dance in the rain, wanting to splash in puddles. Another one of those universal responses to the weather. Yes. But it’s also how your mood affects other people around you. So, in this it’s the grumpy adult, and the cheerful child. It’s beautifully paced. Again, the colours are stunning with lovely illustrations. I think my favourite page is actually the last page, the reflection of the boy jumping above the puddle – his legs are reflected in the puddle, so you know he’s just about to land in it and splash it. 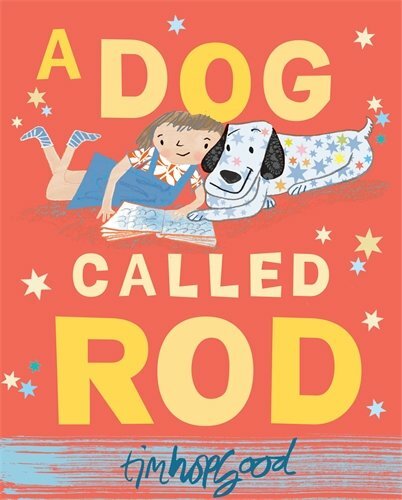 I’m a huge fan of Christian Robinson, and I think what works so well in all his illustrations, you know, he just captures emotions very well. It’s quite simple, yet you know exactly how everyone is feeling. In every picture. I like the way he strips everything back, so you’re just left with what you need to know. I think that’s really clever. It’s really bold. Again, it’s a really fresh way of working. Things are in there for a reason, and it’s not just decoration. But then the whole, the way this is constructed, it’s just so well thought out. It’s a lovely ending. I love the fact that the little boy inspires the old man to enjoy the rain. My kids loved it because that was a great example of the positive power children have. They can, simply by enjoying the world around them, cheer up a grumpy, cynical old grown-up. It comes across really clearly. It works so well. I think it’s a lovely, lovely book.